You have most likely noticed the unsightly pile of rubble stored on the Green at the High Street cross roads. The parish council has complained to the County Council about it, asking that it be moved and any damage to the grass repaired. 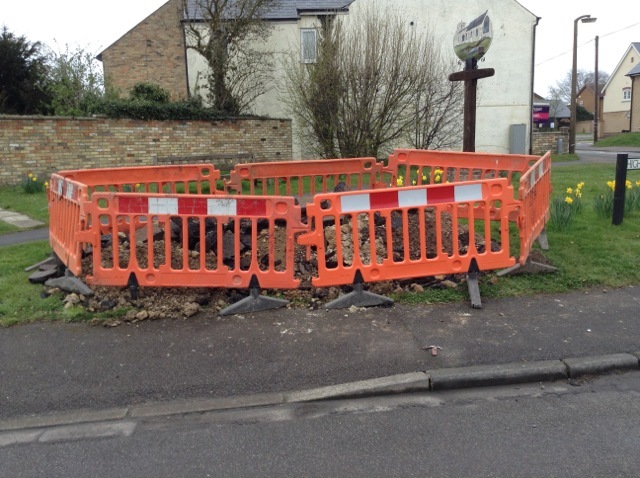 UPDATE - Contractor are due to clear away the spoil and add top soil on 21st April.